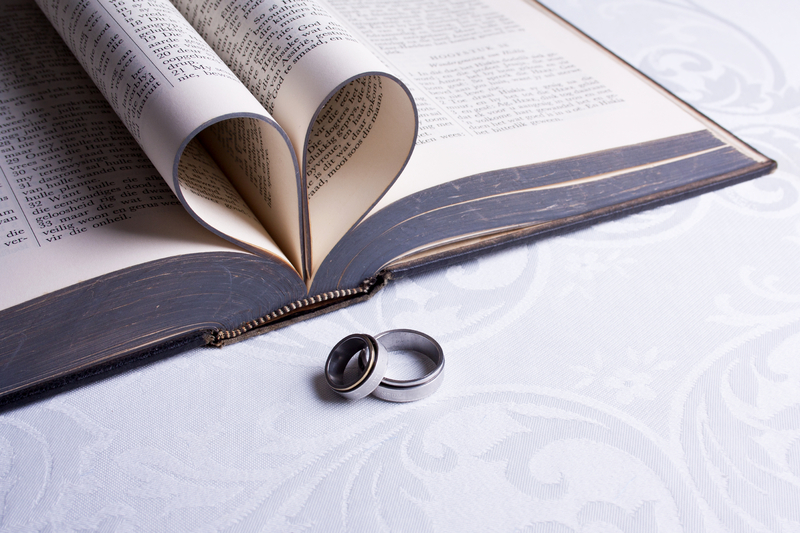 Christian Marriage Therapy services at Crossroads Phoenix and Scottsdale Relationship Centers can help you create a Godly marriage. I Peter 4:8 reads, “Above all, love each other deeply, because love covers over a multitude of sins.” This verse can be applied to all relationships, especially marriage relationships. All of us need to know we are loved especially when we do not deserve it. Loving your spouse deeply even when he or she has hurt you, let you down, or failed mimics the love Christ has for us. Christian Marriage Therapy at Crossroads helps you in your marriage to identify and overcome the barriers to loving your spouse deeply. There are many barriers to loving your spouse deeply. Selfishness is one of those barriers. Selfishness is where your put your own needs,wants, desires, above those of your spouse. The truth is all of us are born selfish. We are born believing the world revolves around us. We falsely believe we are the center. We have to learn how to put others before ourselves. This is being selfless. Love, in my opinion, is all about putting another person before yourself. A big part of loving someone is being selfless. Is this not the example Christ gave to us? Ephesians 5:1-2 says, “Therefore be imitators of God, as beloved children; and walk in love, just as Christ also loved you and gave Himself up for us, an offering and a sacrifice to God as a fragrant aroma.” Christ modeled how loving someone means giving yourself up like an offering, sacrifice and as a fragrant aroma. Scripture also tells us that there is no greater love than to lay down your life (John 15:13). Again we see that truly, deeply loving someone involves giving all of ourselves to that person, being selfless by putting them first, and how this love is meant to cover a multitude of sins. When we fully comprehend what it means to love our spouse and to be loved by our spouse it can radically transform our marriage. I believe this is at the heart of what it means to have a Godly and Christian marriage. Some of you may be in a marriage where your spouse has committed a “multitude of sins” against you. Perhaps your spouse has acted selfishly by not putting you and your marriage first. Maybe they continue to sin and to act selfishly. You have tried to love them deeply in the hopes that this will not only cover a multitude of sins, but that it will also cause your spouse to stop acting selfishly. Does this mean you are tolerate their selfishness? Are you to continue placing yourself in a situation where you are consistently hurt? I believe the answer is no. As Christians we are to love others, including a a selfish spouse, but this does not mean we are to be reconciled. Christ loves everyone but not everyone is reconciled to Christ. Not everyone is in relationship with Christ because their sin is what separates them from Him. In this same way we can love our spouse but not be reconciled or in relationship with them. It is not unless and until we see a change in heart and action that indicates a move away from selfishness into selflessness can we then be reconciled. We are to love others, especially our spouse, in the same way Christ love us. However, human love is far from perfect. Of course, we are going to fail. This is normal and to be expected. When we fail we just need ask for forgiveness, extend grace, and love our spouse deeply in spite of their shortcomings. This unconditional love is what every human heart craves. When we do our best to love our spouse deeply we create a safe and secure relationship. You do not have to look out for yourself when you know and rest in the reality that your spouse is putting your first. Your spouse does not have to look out for their own needs because they can feel confident that you are putting them first. This is loving one another selflessly and deeply. Is Asking For My Needs To Be Met Being Selfish? In the Christian Marriage Therapy sessions at our Phoenix and Scottsdale Relationship Centers we focus on helping spouses to integrate deep and selfless love. As a part of our counseling sessions we help couples to go down deep and express their core emotions such as sadness, hurt, loneliness, abandonment, rejection, and fear. We help marriages strengthen by helping spouses reach out and express their core emotions and needs to one another. Some may think that this is in opposition to everything I just wrote about being loving deeply and being selfless. You might be asking yourself, “How am I being selfless when I express my emotions and tell my spouse what I need?” My response is that you are loving deeply and selflessly when you express your vulnerability to your spouse and when you reach out for help carrying your burden (Galatians 6:2). All of us NEED connection and to know we are not alone (Genesis 2:18). All of us need comfort (Isaiah 40:1). You are giving the gift of yourself to your spouse and loving them deeply when you vulnerably reach out expressing your core emotions and allowing them to love you in return! These actions of giving and receiving comfort in your marriage connect two people together spiritually, emotionally and physically (Genesis 2:23-24) . Developing and cultivating this type of intimacy in your marriage guards against selfishness and protects one another from outside temptations that can destroy your bond! 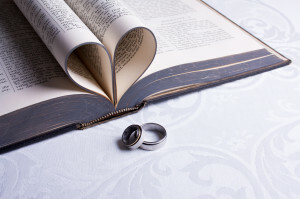 If you are ready to create Godly marriage then Christian Marriage Therapy at one of our Crossroads Phoenix and Scottsdale Relationship Centers can help. A Crossroads Marriage Counselor will help you in your marriage to remove the barrier of selfishness, learn how to love deeply, and how to connect emotionally.